Terraneo festival is held just outside the centre of Šibenik. 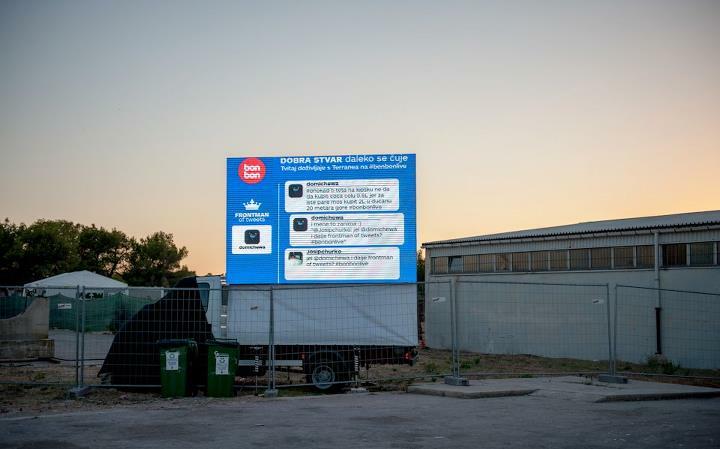 Conveniently located at the heart of Dalmatia and held at the beginning of August, in the height of summer, Terraneo is a perfect addition to the tourist offer of the region, making it an attractive destination for thousands of young, urban people in search of quality entertainment. 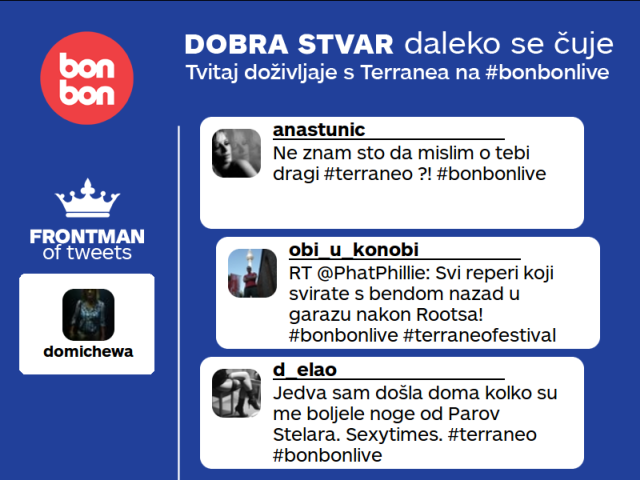 We participated at Terraneo festival with Twitter wall sponsored by Bonbon. 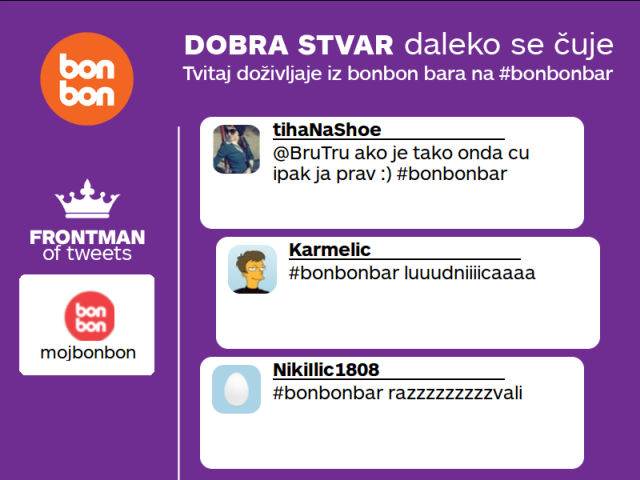 There were 2 Twitter walls – one next to the main stage and the other next to the Bonbon bar. 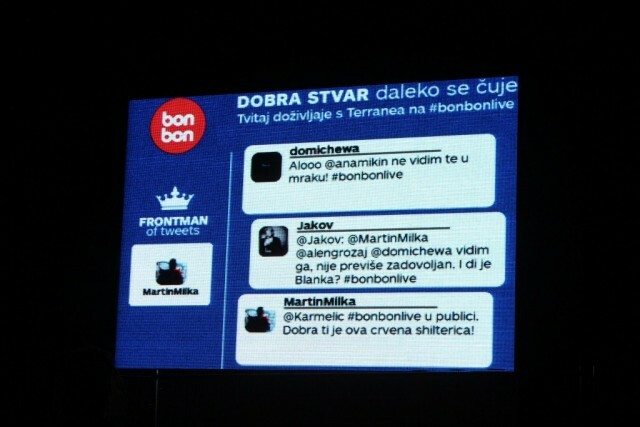 Walls became very popular among visitors of the festival, there were about 1,000 tweets per night , the largest part was shown on the screen next to the main stage.